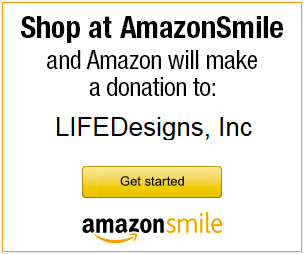 Fall is here and so is the LIFEDesigns Letter: Our Newsletter to the LIFEDesigns Community. We want to keep you up-to-date on what we are doing, working with people with disabilities to become more independent. 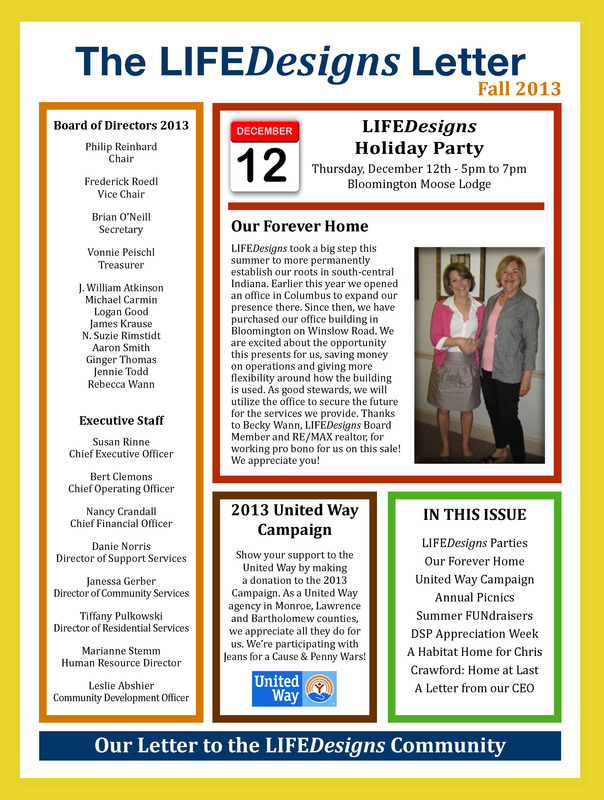 Check out what we have been up to by reading our latest Newsletter. 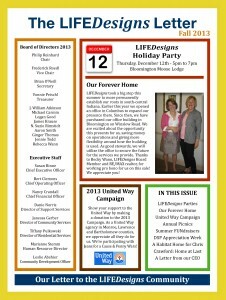 Check out LIFEDesigns‘ Fall Newsletter in its entirety here! If you are not receiving our newsletters and would like to or are receiving them by mail and want to receive them by e-mail to help us go green and save money by cutting out printing costs and using less paper, please sign-up for our email list. Thanks! If you are receiving duplicates or still receiving hard copies of our newsletter and don’t want to be, please email Community Development Officer, Leslie Abshier, at labshier (at) lifedesignsinc.org to let us know what needs to be changed.